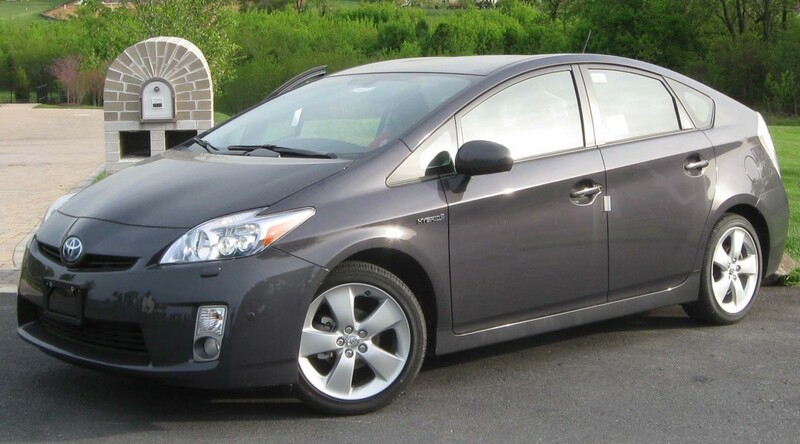 The Toyota Prius is by far one of the most popular choices for London drivers. Anything from the second half of 2008 and up will be accepted on the platform all the way to 2017. Its popularity is mainly due to it being a hybrid, and it is a fantastically build a vehicle for the money. Yes, it is more expensive than any of the next few choices, but rightfully so. It gives average London driving MPG of about 50-55 miles to the gallon petrol. Not bad for a 1.8 liters petrol with a CVT transmission. Maintenance is relatively cheap, except for the battery and the hybrid electrical part, but Toyota is known to offer great support to Uber drivers. You can have a few incentives to repair your Prius at a Toyota dealer taking advantage of Uber’s Momentum program. I’ve seen some 2008/2009 Priuses that look and drive like new and still hold value, even with the beating they endure while driven as a private hire vehicle. Honda Insight is the one and only Prius rival. It is a bit of an inferior younger brother, but it is a decent car for cab driving in London. It is even cheaper than the Prius to run, costs less, and it doesn’t look too shabby. It has a slightly smaller engine than the Prius – 1.3litre petrol, the CVT transmission is known to be a bit whiny under hard acceleration, and it has a bit worse mileage than the Prius, although it is not too bad comparing the running costs between the two. The Skodas are primarily a cheaper Volkswagens. Easy to maintain, cheap and reliable workhorses. No wonder you see so many with PCO badges on the windows. You would want the diesel versions, with or without BlueMotion system, to maximise on the MPG. The Superb is the bigger brother of the Octavia, is a bit better equipped, but more expensive and thirstier at the pump. Parts and maintenance are cheap, though, except for the typical diesel city driving issues – particular filters and cats getting clogged up. Both the Octavia and Superb are large vehicles that fit comfortably 3 in the back, so you’ll have no problem getting it on the Uber platform. It is the choice for Uber only if you plan on driving near places like Watford, Croydon, Romford and such. You will more than likely struggle to hit 40 mpg in the city, the mid-40s on the highway in a sluggish, but comfy ride. The Insignia is a good looking car, passengers like the ride very much but it is not particularly fun to drive. It is slowly accelerating, the visibility from the inside is not the greatest, and the acceleration leaves much to be desired. Running costs are low, on the other hand, replacement parts are cheap-ish and widely available. I wouldn’t recommend it for SOHO or anything like that, it will struggle with some of the turns there, and the DPF will get clogged sooner rather than later if you are not taking the car out for regenerating runs. The Mondeo is a proven workhorse when it comes to Private Hire. Large, comfy vehicle that is relatively easy to maintain. Known problems on the Mondeo are the Dual Mass Flywheel and the injectors going bad. Both things are pretty expensive. While the injectors are somewhat easy to replace yourself, the DMF will be an expensive part and even more expensive labour charge. It is cheap to acquire used, just be careful with hidden problems if you are buying from a dodgy seller. To drive on the Uber platform, your car has to be certified as a private hire vehicle from Transport of London, has valid MOT, V5s counterpart and Hire and Reward Private Hire insurance, which usually carries a hefty price tag. Please keep in mind if you’re purchasing a new vehicle specifically for Uber that to register it as a private hire vehicle the car be no older than five years. Anything older than five years will not be able to register as TFL private hire vehicle. For example, if you buy a 61 Registration you won’t be able to register it as a new PHV. The only way to do so if it has already been registered with TFL before and you take over the tag. That’s a tricky one. The economics of Uber driving are such that if you do not have your own, 2009 or newer, car, you have to work 50 to 60 hours or more to make any decent money. 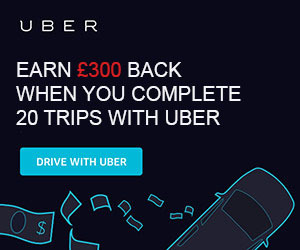 I am sure a lot of people are thinking about driving for Uber part-time to generate some additional income, but that should only be the case if you already have the car and just need to add insurance. 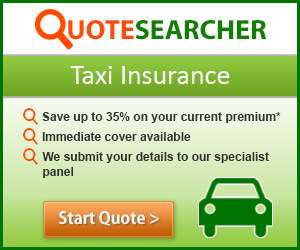 If you look at most offers on Gumtree or Uber’s approved PCO car rental providers, you will notice that it is hard to get a decent car for less than £200-£250 a week, even some offer exclude insurance at that price range. That is £10,400-£13,000 a year thinking long term. You can find a used Prius on Gumtree or AutoTrader for less than that, let alone Skodas or Fords. I will cover my financial experience with Uber on the linked page, but if you want to try Uber and see if it works for hiring a car short term is a viable option. I wouldn’t recommend hiring for more than a few months till you have enough money to cover a used beater from Gumtree or a down payment on a finance deal for a Prius or Insight. Driving a cab in a busy city like London is a pretty heavy load on the car, so regular maintenance is essential. Tyres, brake pads and disks, oil changes and different other bits will have to be serviced much more frequently than on a normal car or a Sunday driver. Brakes are usually easy to repair yourselves if you are handy enough, as might be oil changes depending on whether you can service your car at your home or not. Tyres and windscreen chips are a different matter so you have to find a mechanic you can trust not to rip you off on maintenance for your vehicle. You have to take care of the MOT as well, which is due every six months for a private hire and taxis rather than the year interval for standard vehicles. If you hire a car from a reputable provider, all this will be taken care of, and all you have to do is just drive. Careful, because you have to return the car in the same condition as you received otherwise you will be charged for every little problem that the car developed under your care, and there will be some dings and chips from driving in a city like London, the inescapable truth.